We were delighted to receive £143,000 from Arts Council England as part of the Taskforce’s Libraries Opportunities for Everyone (LOFE) fund. 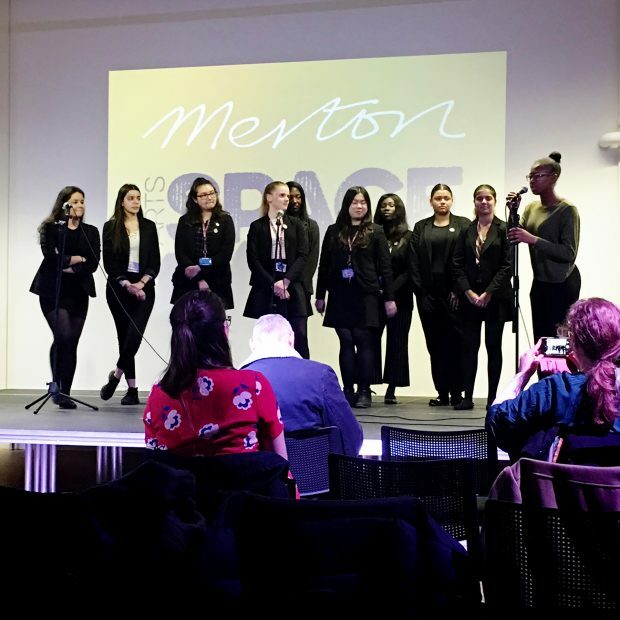 It came at exactly the right time and enabled us to build on a previous Grants for the Arts project called Merton Arts Space. The Merton Arts Space project centred on the development of the back section of Wimbledon Library, to transform it into a multi-use space with a professional sound and lighting rig and a flexible stage to enable all kinds of cultural activities to take place. The project had significant support from local arts and community organisations who required a space in order to develop their activities. The success of the project led us to look at how we further developed our cultural offer across the borough and in particular to think about the offer in the east of the borough. Merton, like a number of London boroughs, has a distinction in its communities between the more affluent west (such as Wimbledon and Raynes Park) and the more deprived east (like Mitcham and Pollards Hill) where health, social and economic outcomes of residents are lower. Our borough has a strategy to address this called ‘Bridging the Gap’. 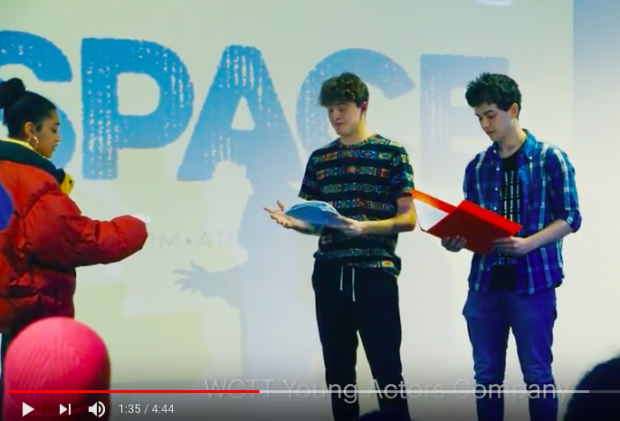 The new Arts Space was established in September 2017 following a consultation exercise with young people that gathered their views on services in the area, their perception of libraries and what services could be developed. The consultation found that a high proportion of young people felt there were not enough cultural activities to meet their interests and that there had been a reduction in spaces for them to meet and socialise. Using the consultation feedback, the new Arts Space at Mitcham Library was developed to have new ICT facilities and the ability for young people to produce professional-standard music, film, art, drama and poetry. 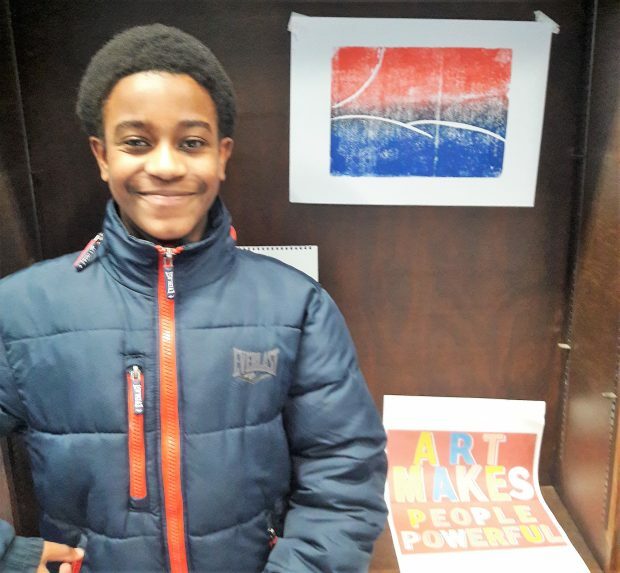 Being a separate space from the main library it has enabled young people to explore these artistic forms to a greater extent and a series of workshops has been delivered by professional facilitators and local youth workers. Mitcham Library in particular is attracting large numbers of young people after school and has become a hangout for many of them. Some of the challenges in delivering the programme have been in overcoming some behavioural issues and in keeping them engaged through the workshops. Multi-agency work with youth agencies in the borough has uncovered some wider issues and working with our partners we have been able to deliver focussed youth work and provided training for library staff to increase their engagement with young people. Staff report a 100% increase in confidence working with young people as a result of the project. As we moved towards the end of the project a major event took place on Saturday 10 March 2018 at the bigger Arts Space in Wimbledon Library. The event was an excellent way to showcase the work of the young people and their newly developed skills. The film below demonstrates the work of our young people and was the first time that some of them had shown their work to the general public. As part of the sustainability of the project we now have established facilities that can be used to deliver a range of activities in two of our libraries. We will be developing our work with young people further in particular around cultural activities. We’ll carry on many of the music, drama and arts activities as well as our literacy work with high schools. The journey we have been on has been very exciting and has raised the profile of libraries and the opportunities available through them. Most importantly the project has showcased how important libraries are to the development of young people and that they can be an important part of their daily lives. Follow Merton libraries on twitter @MertonLibraries and search #MitchamLibrary for activities in the youth arts programme.